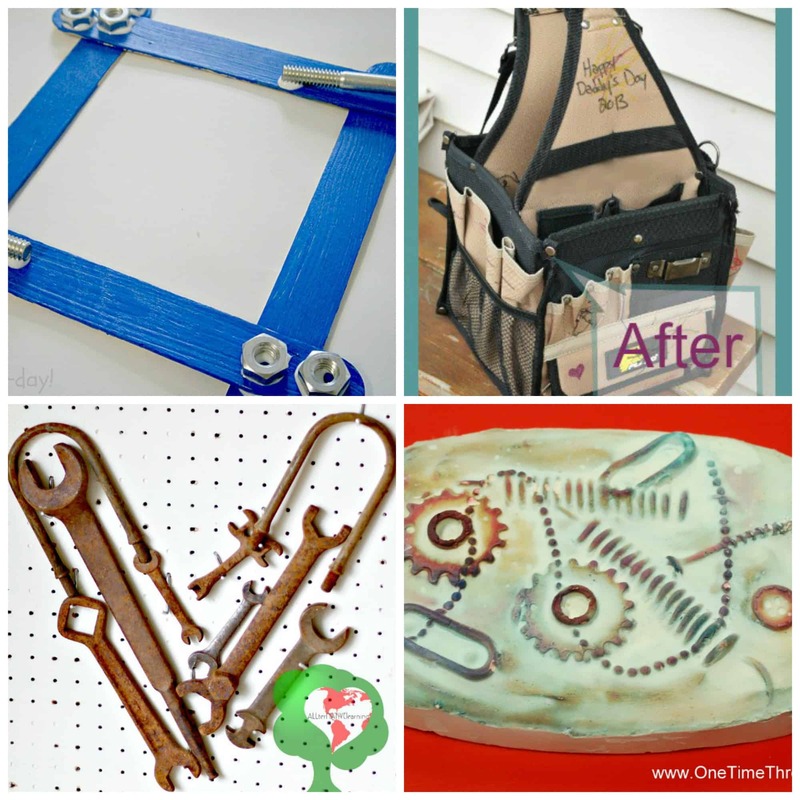 Do you have a tool lover in the house? 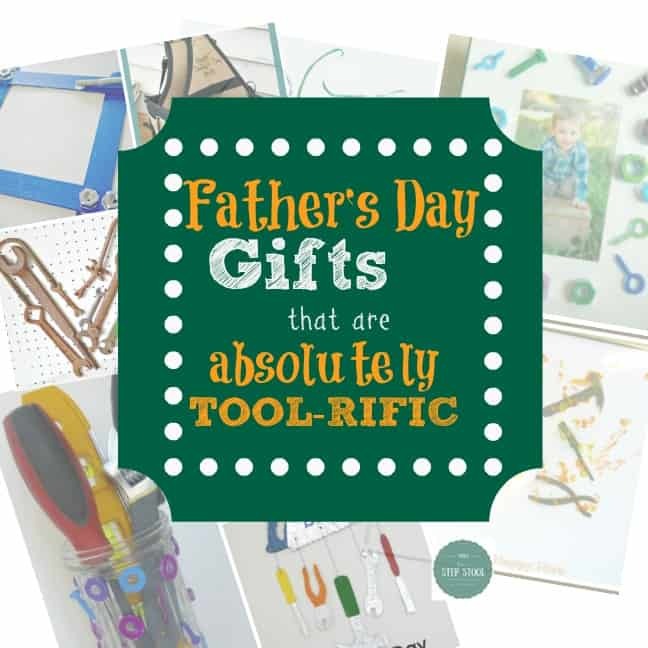 My kids LOVE using Daddy’s tools and building with him, it’s kind of their thing, so Father’s Day always seems like the perfect occasion to make a tool related gift just for dad. It’s often hard to shop for dads, especially if they are like someone I know and either buy the things that they want, or want things that are too expensive…ahem. 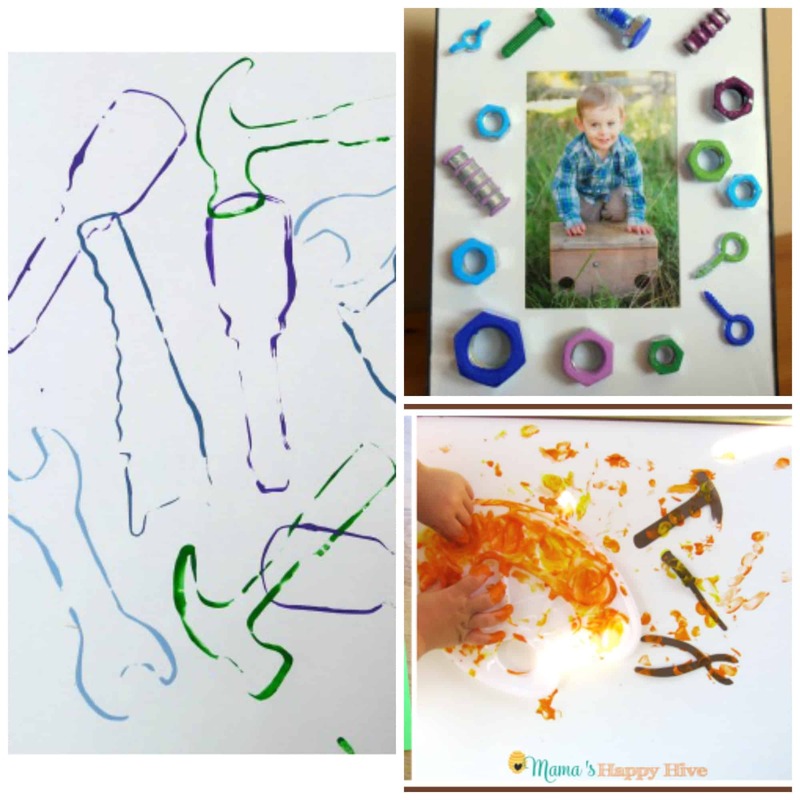 These father’s day gifts can all be made by your little ones, and are absolutely tool-rific, sure to please dad! 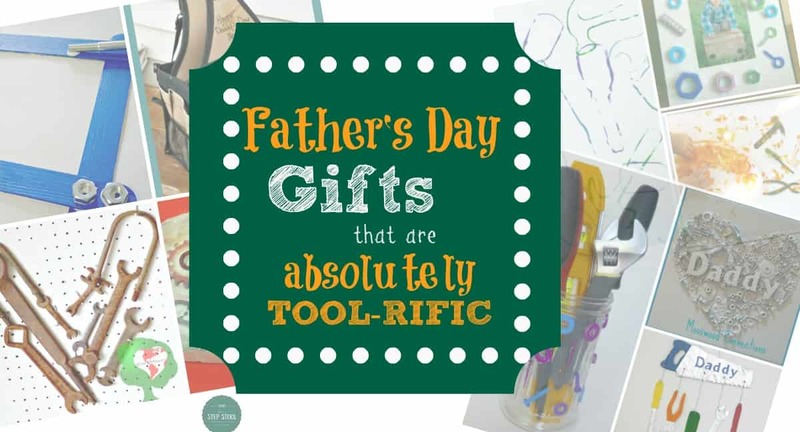 Father’s Day Gifts that are Absolutely Tool-rific! 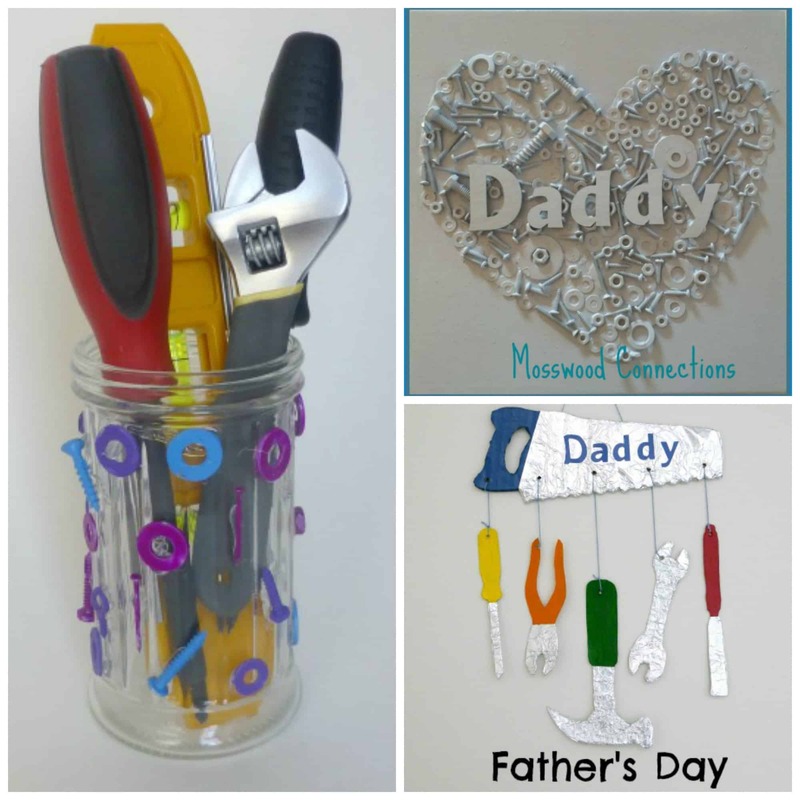 We have always made homemade gifts for Father’s Day. One year we did handprints on a ceramic plate that said “Dad’s grillin, hands down the best!’. Another year (my favorite) we got a little canvas tool bag, printed a picture of my son and my husband working with tools together on an iron on transfer, and adhered the photo to the bag with the words ‘Tools with Daddy’. It’s still my husband’s favorite tool bag and has such sentimental value. I know he will cherish it forever! Do you have any kid-made Father’s Day favorites? I’d love to see them. 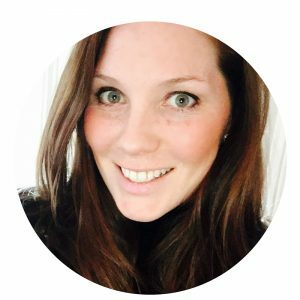 Follow us on Facebook and show us!